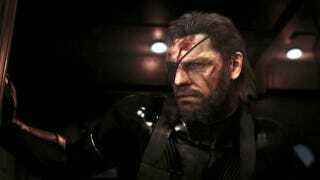 Metal Gear Solid: Ground Zeroes Is Short. Really Short. The prologue to Metal Gear Solid V comes out next month, and if you're expecting a nice chunk of Snake's story to keep you occupied until the full game is done, you should probably know that it's short. Really short. Game Informer got their hands on a near-final build of Metal Gear Solid: Ground Zeroes for their March cover story, and they say they beat the game's main mission (not including side quests or special console-exclusive missions) in less than two hours. Less than two hours! "Judged just by the core story mission, Ground Zeroes is short," Game Informer writes in the cover story (only available in the magazine, not online). "We completed it in just less than two hours." Ground Zeroes is out on March 18 for Xbox 360, Xbox One, PlayStation 3, and PlayStation 4. It's designed as a prologue to MGSV—because Hideo Kojima wanted to give people something to play while they wait for the next entry in his stealth-action series—but it isn't cheap: the last-gen version is $20 digital and $30 physical; the current-gen version is $30 digital and $40 physical. Of course, it's unfair to get judgmental before we actually get our hands on this thing; this could be the best damn two hours of gameplay we've ever seen. Stellar experiences like Journey and Gone Home are also really short. But I imagine most people expected a little more from a big-budget production like Ground Zeroes.